Nowadays, shopping areas suffer a low vehicle rotation because they stay parked for a long time. 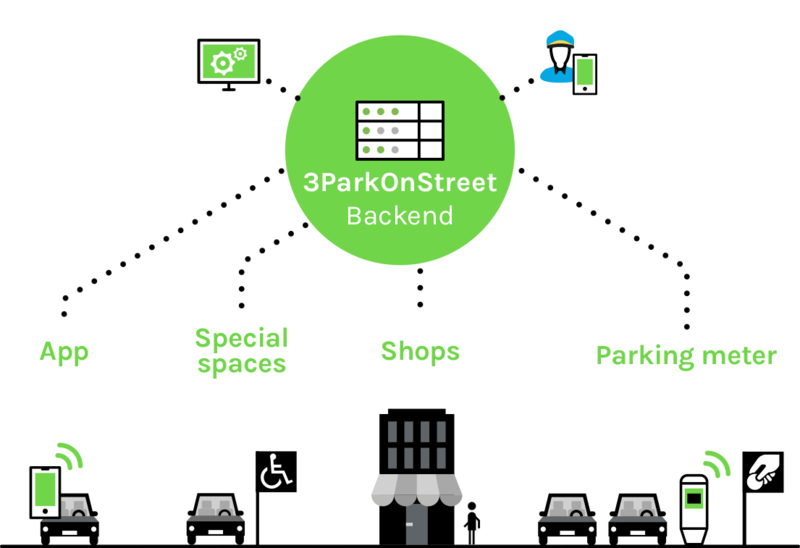 3ParkOnStreet is an online regulated parking system that solves these parking problems, causing higher turnover. It is geared for both free and pay parking areas, and involves businesses to operate. This smart parking on-street system offers different parking methods: a mobile app, the shops on their own and parking meters. They can work together or separately, and all are connected to the same online backend, with a control center that provides an efficient street parking control from a single place. This control is supported by automation. App, shops and parking meters reported in real time the parked vehicles, avoiding fraud. This allows users to know the number of places available, offering a improvement of city traffic and mobility. 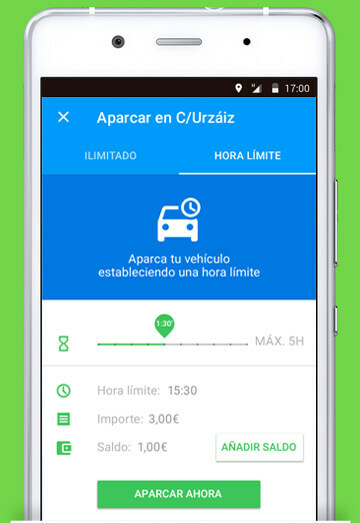 Drivers can view available spaces and park by their mobile. To increase activity, businesses operate as parking meters. Traditional parking method for those users who don’t use the app. Exclusive spaces where only can park authorized vehicles. A web panel that allows control and management the regulated parking from a single point. An app for pay and display area controllers that offers greater control of fines and effectiveness. 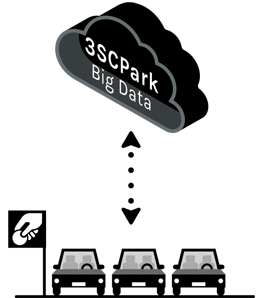 3ParkOnStreet reports to 3SCPark Big Data the available spaces in regulated parking areas, as well as their rates and the maximum time drivers can park in, offering a pay and display area connected to the smartcity. Drivers download the app on their phone, which acts as a portable parking meter. It is aimed to facilitate parking to drivers and improve mobility in the city. 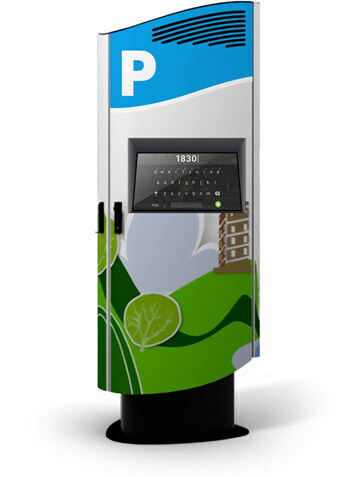 Its main advantages for users are on one hand, saving time, because it is possible park with it, replacing the parking meter. On the other hand, drivers can see which regulated parking area has available space, representing a reduction of vehicular traffic. The app located on a map all controlled parking zones connected to the system. Drivers will know the rates thereof, the maximum time and availability of places. 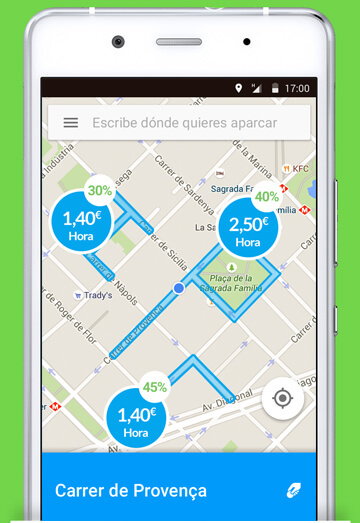 Through GPS, the application can guide users to the regulated parking area they have selected. Users can set a time and pay the pay and display area with the app and the balance that has associated in it, bypassing the meter. If the regulated parking area is free, users report that they have parked. 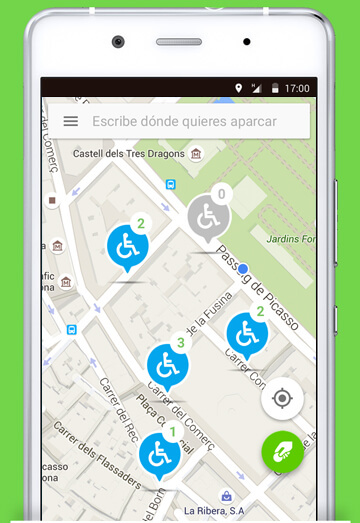 Disabled people may search specific spaces for them, and how many are available. For drivers who don’t use the app, the shop acts as a parking meter. Each shop have an exclusive app connected to the system, which indicate the vehicle license plate that wants to park. When driver parks the vehicle, he immediately goes to the nearest shop, which act as the parking meter and notify the parking to the system. If the regulated parking area is payment, businesses can give parking time to drivers who buy in them, increasing consumption. Parking meter works as a traditional alternative to those drivers who don’t use the app or shops to park. This smart parking meter is connected to the Control Center using WiFi or GPRS. When a driver parks, he enters the license plate of his vehicle, sending this information immediately to the Control Center. While it isn’t active, the parking meter can display on its screen different advertising messages like “Use the app to park” or “encourage a sustainable city”. The Control Center is based on a web environment. 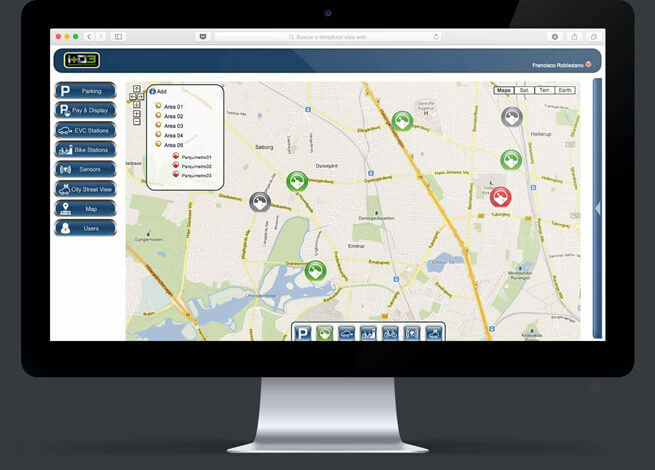 Through its interface is possible to monitor and manage all regulated parking zones connected. As a result the efficiency is increased and better parking control is achieved. Parking meters, the user’s app and the business’s app report when a new car parks in real time, which is license plate and how long it will be stationed. And controllers report from their app all violations found immediately. The Control Center receives different alarms and warnings from parking meters that require immediate solution. It also receives all notices that controllers report from their app in real time. Control Center has a map that displays the different elements connected, grouped into areas. Regulated area controllers will have an app connected to the system and the parking meters. Through it, they can fine the vehicles and issue time tickets to drivers, improving efficiency and control. All notifications generated by the controller are automatically sent to the Control Center. The controller will fine drivers who haven’t notified or have exceeded parking time, adding the license plate, car model and color. Controller can take photos and associate them to an infringement. The controller may issue time tickets to drivers. He just needs to choose the time the user wants to be parked. If the driver leave before controller gets there, the parking meter will notify it. 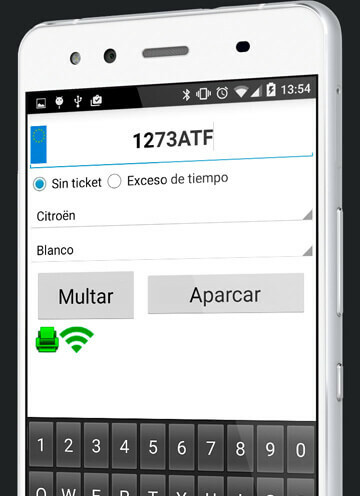 The controller’s app is connected to a portable Bluetooth printer, which will print the fines and time tickets. 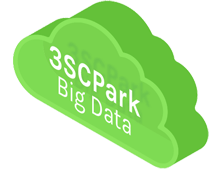 When the 3ParkOnStreet system is connected to 3SCPark Big Data, it can benefit from the crusaders with other system’s services, promoting the city intelligent parking. If a regulated area is full or the user wants to exceed the allowed parking time, it is possible to reroute them to nearby car parks connected to 3SCPark as an alternatively parking. Real control of parking online. Increase rotation in commercial areas. Users save money with the time that shops give. Drives saves time because they know where are available spaces. Less pollution because it reports available spaces.